Make a travel bed that is both lightweight, portable and requires little space when stowed away on the road. A baby travel bed is especially useful when the family is headed out to the park or an outdoor location. The following steps show how make a baby travel bed with items you can purchase at your local stores. Hold the four "legs" of the frame to form the footprint of the bed with polyester ribbon tied across opposite of each other. See Figure 1. "Fold" the mosquito mesh over the frame and secure it on the frame with polyester ribbon. Allow an opening that will give access into the frame. Place the inflatable mattress inside and arrange bedding material. Lay a washable sleeping pad on the mattress. Arrange bedding materials. Stow materials away in a storage bag. Make sure that the construction of the frame is sturdy. 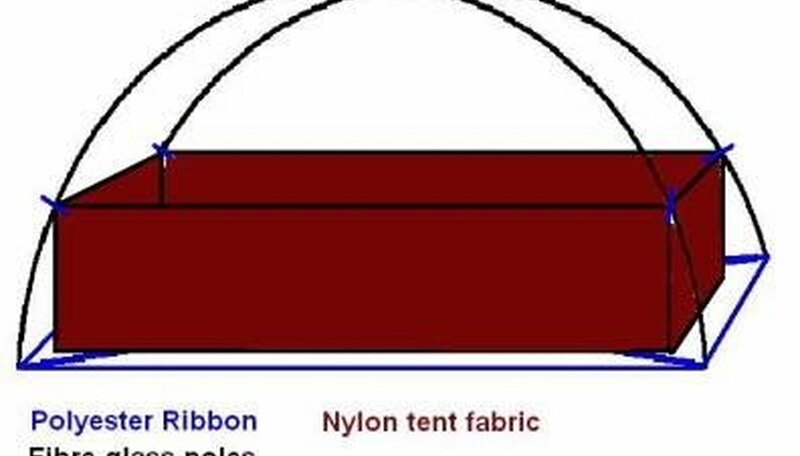 Also ensure that there is no more than a 25-millimeter gap between the nylon enclosure and the edge of the inflatable mattress. Make sure that the bedding material that you use will provide comfort and be snug for the infant. Do not use a pillow for a baby less than 2 years old. This unit is for an infant to sleep in it. Do not use this unit as a child containment unit. Well, I am a mom of two beautiful boys that I love dearly. Ages 15 and 18. Total opposites, but both highly intelligent, and each, each others bond in life. Outside my children, I enjoy freelance writing. I have been writing for a few years and have just recently begun to freelance. I hope to provide everyone with informative and interesting articles!